This November, we’re publishing our first anthology of new writing in more than fifty years. 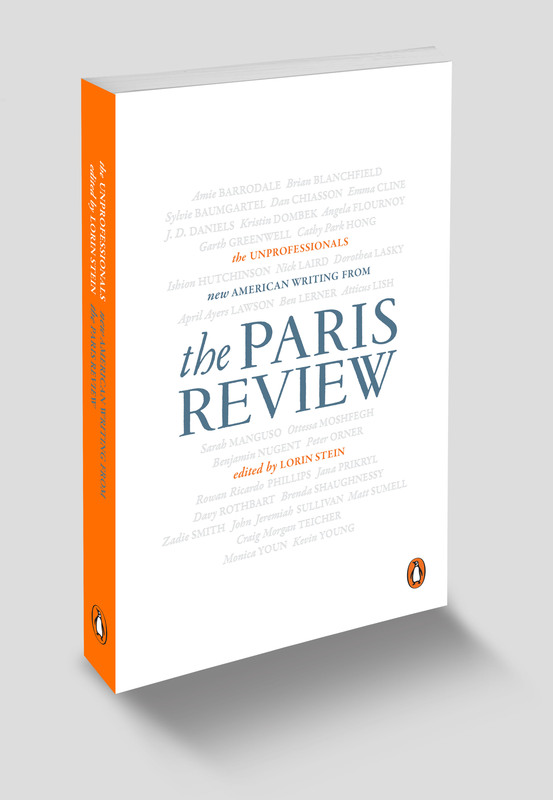 The Unprofessionals: New American Writing from The Paris Review features thirty-one stories, poems, and essays by a new generation of writer. It’s a master class, across genres, in what is best and most alive in American literature today. Take a look at the cover and you’ll recognize names such as John Jeremiah Sullivan, Atticus Lish, Emma Cline, Ben Lerner, and others who have become emblematic of a renaissance in American writing. Although these are younger writers, already any history of the era would be incomplete without them. At a moment when it’s easy to see art as another product—and when writers, especially, are encouraged to think of themselves as professionals—the stories, poems, and essays in this collection have no truck with self-promotion. They turn inward. They’re not afraid to stare, to dissent, or even to offend. They answer only to themselves. In the coming months, we’ll reveal more about the anthology, which Akhil Sharma calls “the best possible introduction to the best literary magazine we have.” Stay tuned!